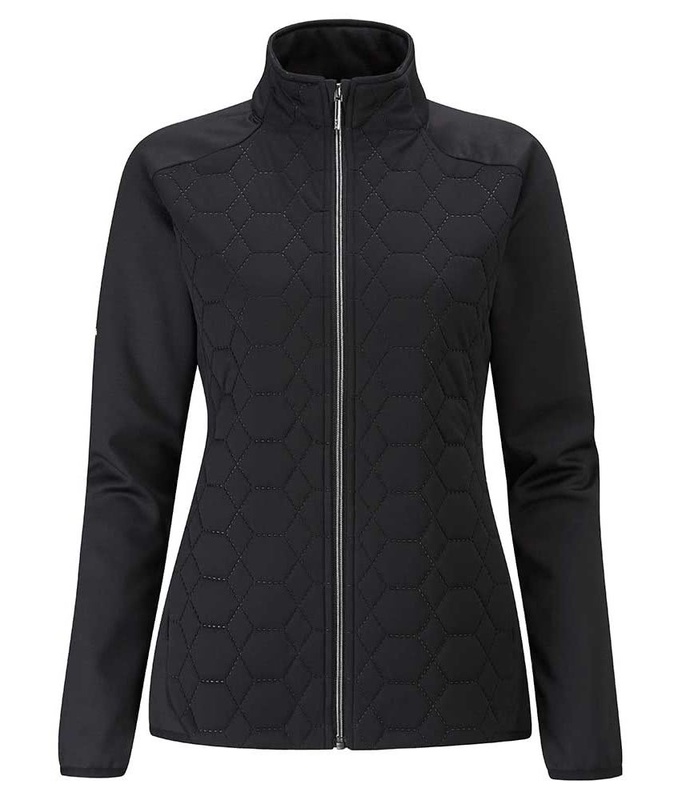 The Ping Collection Ladies Miri Jacket features an ultrasonic quilted design to provide thermal protection as well as being wind and water-resistant for the ultimate performance. 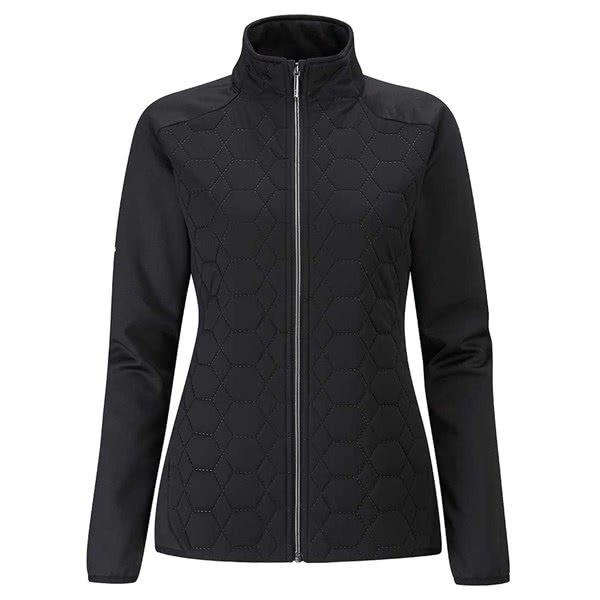 An insulated quilted front panel will keep your protected from the wind and rain while the brushed back stretch fleece fabric on the back and sleeves will deliver warmth and enhanced mobility when the weather dictates you need to wear extra layers. And because Ping think it is important to look your best even in the rain they have have a feminine silhouette to create a stunning, flattering fit. Available from a size 6UK-20UK, the Ping Collection Ladies Miri Jacket features two conveniently located front waterproof pockets designed to store smaller accessories or keep your hands warm. insulated quilted front panel in hexagon pattern. Brushed back stretch fleece at back body and sleeves. Welded clean finish to front pockets. 2 zip front pockets. fabric 1 - 95% Polyester, 5% elastane. fabric 2 - 100% Polyester.